The imagery contained within the album title The Coin, The Prayer & The Crow, singer/songwriter Tom Eure’s sixth release, promises a poetically charged music collection and the North Carolina based recording artist doesn’t disappoint. His influences from both Celtic and Appalachian musical traditions definitely embraces classic tropes of the style, including its language in many instances, but the effect is never too artificial or studied. Rather than sounding like someone attempting to recreate the past for a modern audience, Tom Eure comes off as a performer and writer who sees continuing vitality in this musical style as a way of expressing his own internal narrative. He’s joined on the release by the talents of Amelia Osborne and this vocalist and multi-instrumentalist scores big as a partner thanks to her obvious from the first sympathy with Eure’s own talents. The Coin, The Prayer & The Crow promises much and delivers on it all. There’s wonderful elegance and pacing around The Wind Will Take You Home and the song’s emotional foundation has an inviting mood. The promise of redemption in the song’s lyrics is an abiding theme of many folk songs and Eure invests the vocal performance with reams of obvious personal meaning. 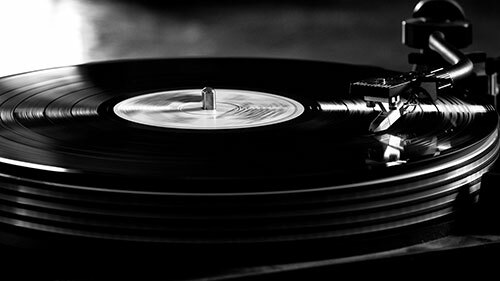 The album’s first instrumental comes with the song Yes Please and the music does an excellent, tasteful job of embodying the positive qualities inherent in the song title. Like many of the instrumental numbers on Eure’s release, the song is short and its condensed structure forces Eure and his musical partners to focus on their strengths in a way that maximizes the song’s impact. We hear a completely different mood bubble to the surface with the fourth track Song of Remembrance. The title promises a gray reflective look back, but there are a variety of emotions tangled in these lyrics and Eure lays out the emotional story of the song in a clarifying, spirited fashion. The acoustic guitar playing is particularly tasty for the song. The Best of Thee is a more lyrically involved number in some ways and benefits from a musical arrangement with some complexity that, nevertheless, ably supports the lyrical inventions. Another of the finer instrumentals on The Coin, The Prayer & The Crow comes with The Path Home and its bluegrass roots are clear, yet originally dispatched. The Carving Tree makes liberal use of Celtic and Appalachian lyrical traditions alike with a marvelous musical arrangement holding it all together. Osborne’s solo lead vocal here is a nice change of pace from Eure’s voice, but he does join her for some discreet backing vocals on the song’s chorus. The surging melodicism of the album’s longest instrumental track Blue Smoke Hills has a nearly cinematic verve and never bores the listener thanks to its often sweeping pace. The Return is the album’s second to last song and briefest instrumental, but it serves a dual role as one of the more entertaining instrumental confections on the release and an excellent preamble of sorts to the final track. Time With You stresses, for a final time, the strongly beating heart behind the songwriting on The Coin, The Prayer & The Crow, particularly thanks to an affecting Eure vocal performance. This is a more than satisfying release for folk and Americana fans, but casual music lovers will find themselves enchanted by the album’s strengths as well. 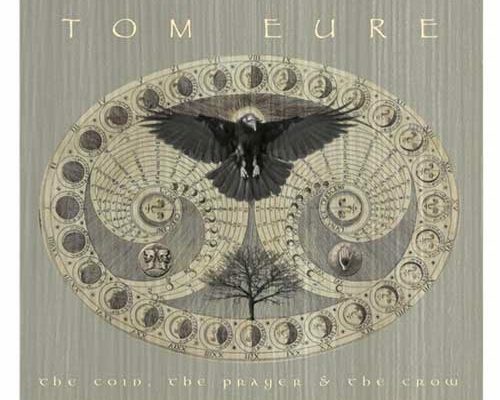 If you enjoyed a preview from The Coin, The Prayer & The Crow, check out the official website of Tom Eure by clicking here. Give him a like on Facebook by clicking here & a follow on Twitter by clicking here.